If he was going to some small, quaint sushi restaurant where he will continue to serve omakase, that would be fine, I would be happy for him even. Instead, he’s going to Blue Ribbon Sushi on Sullivan. I hate that place! Well hate is a very strong word, but it’s a nightmare to get reservations, and when you finally get in, then what? 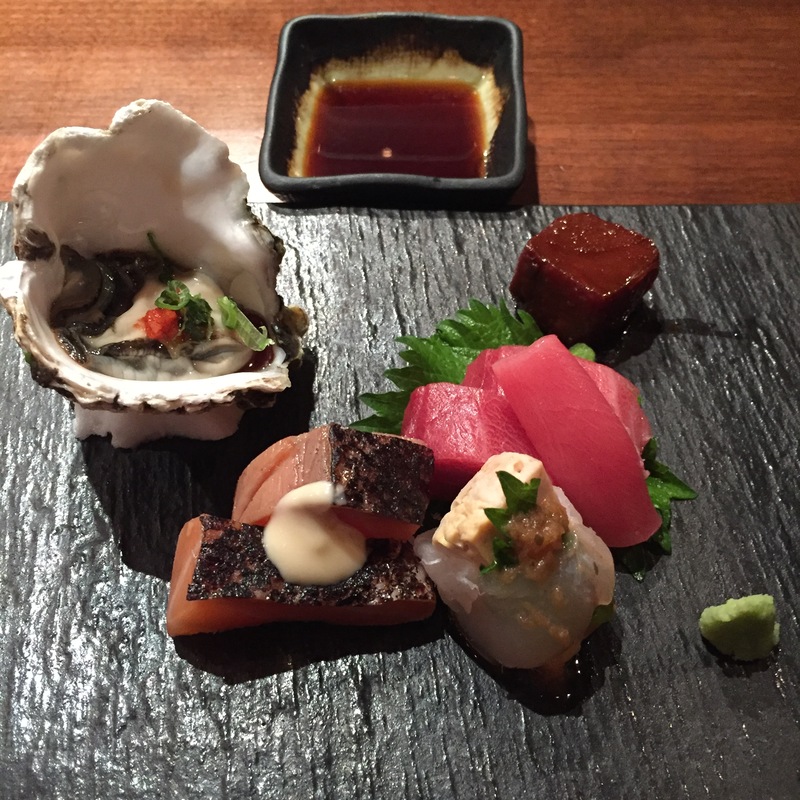 You get to have an omakase “plate”. 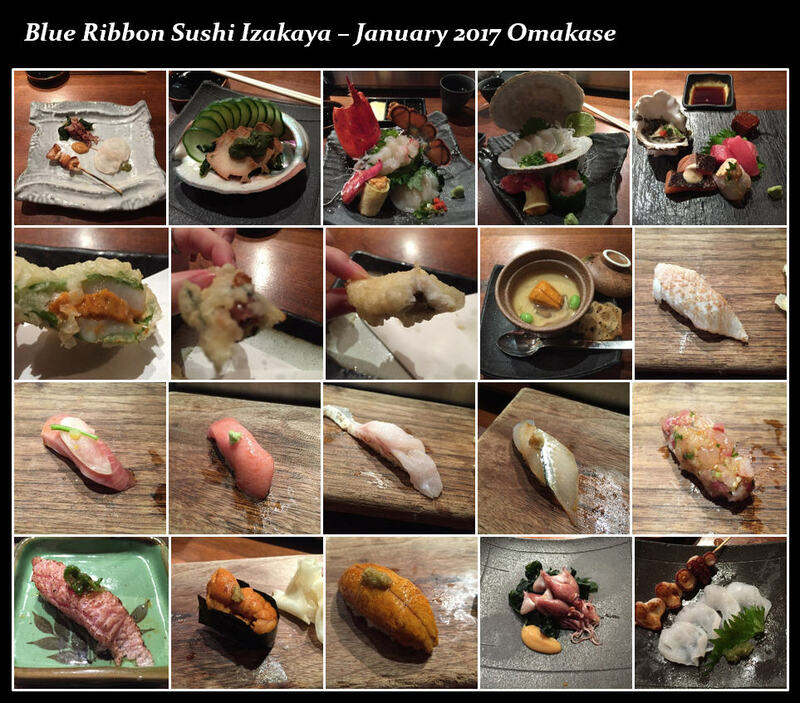 They don’t serve true omakase! Chef’s skills will be buried, to never see the light of day! 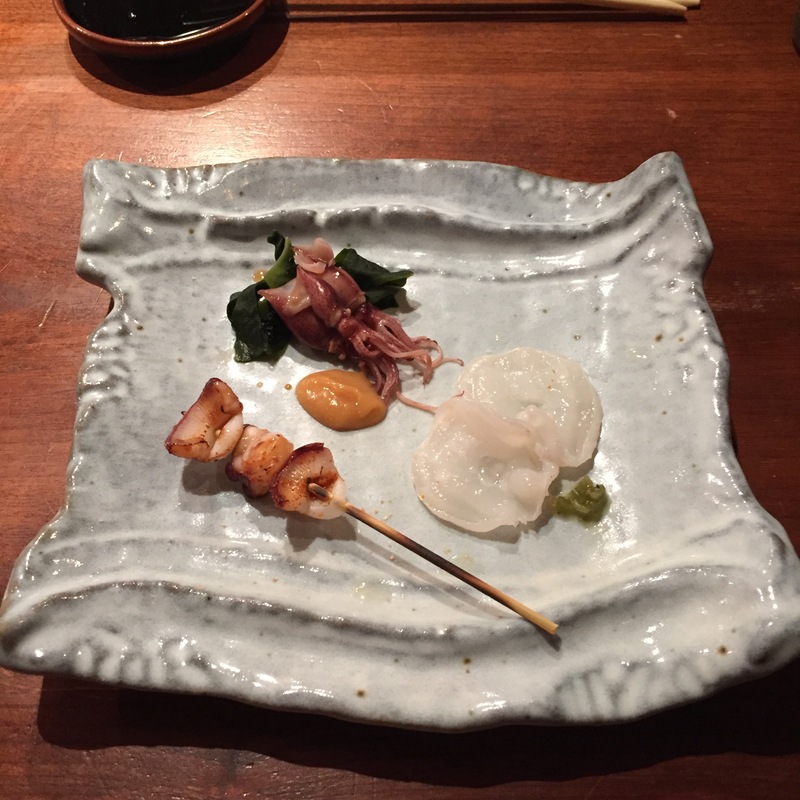 HOTARU IKA (Firefly squid), NAMADAKO (live octopus), and a skewer of grilled octopus suction cups – AMAZEBALLS. 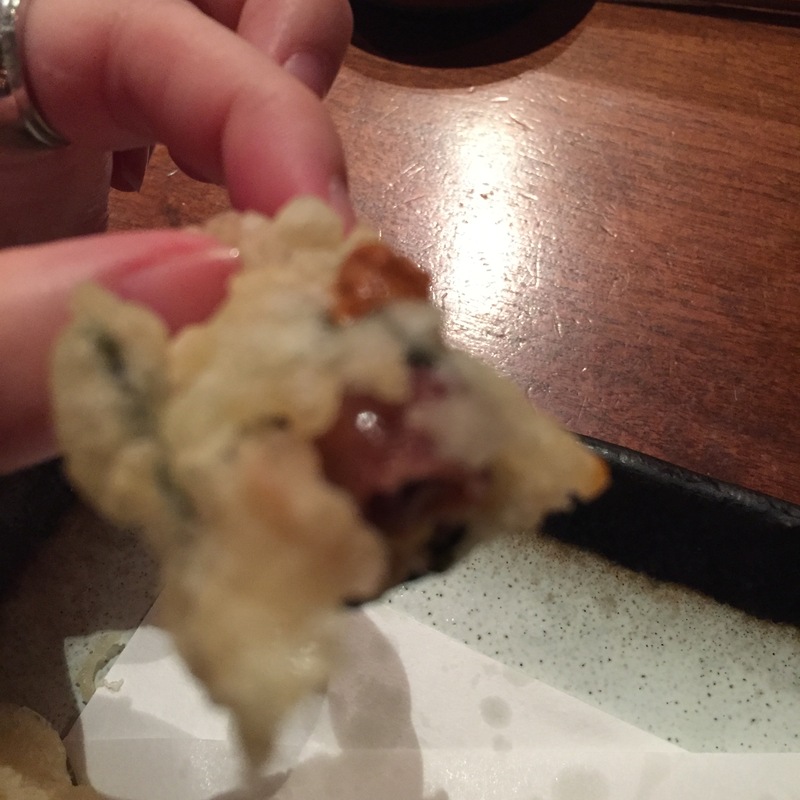 Chef makes NAMADAKO my most favored way. 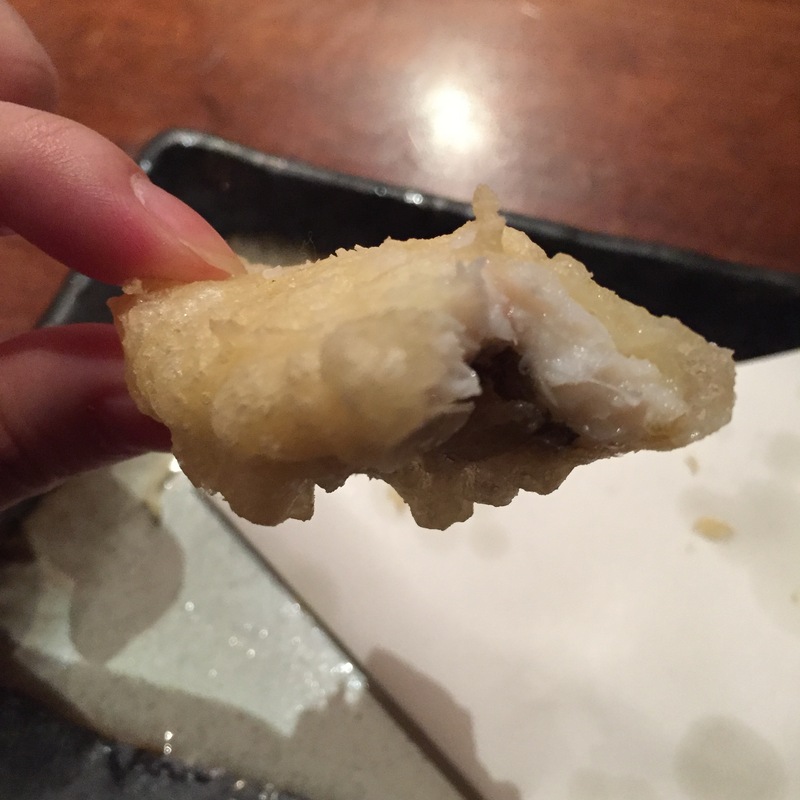 It’s a very chewy fish, so he slices it very thin, then splashes it with a tiny bit of citrus, and tops it with sea salt. 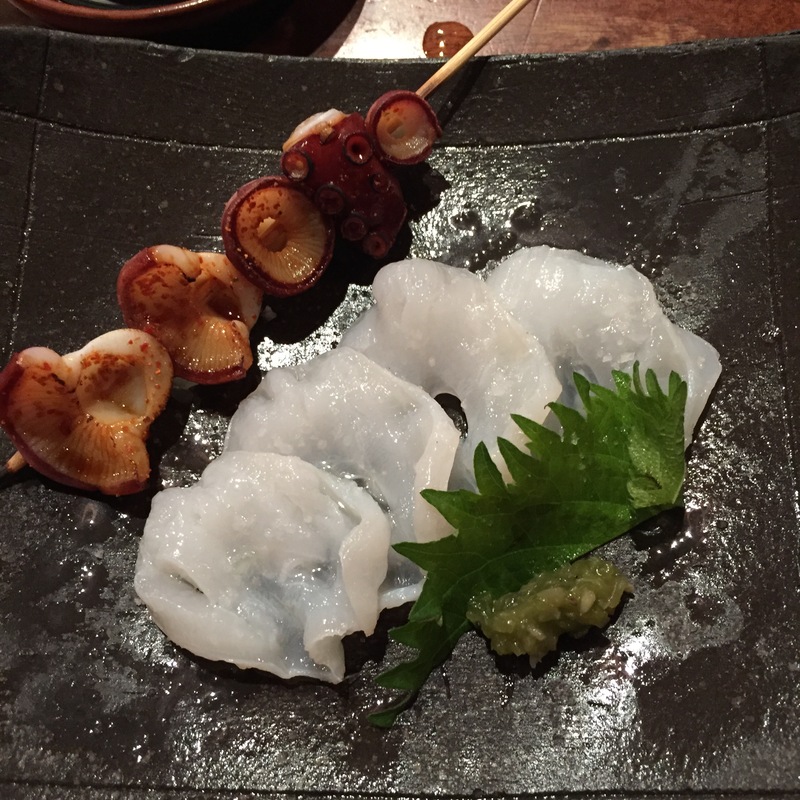 The HOTARU IKA is served with a miso glaze sauce, delicious. 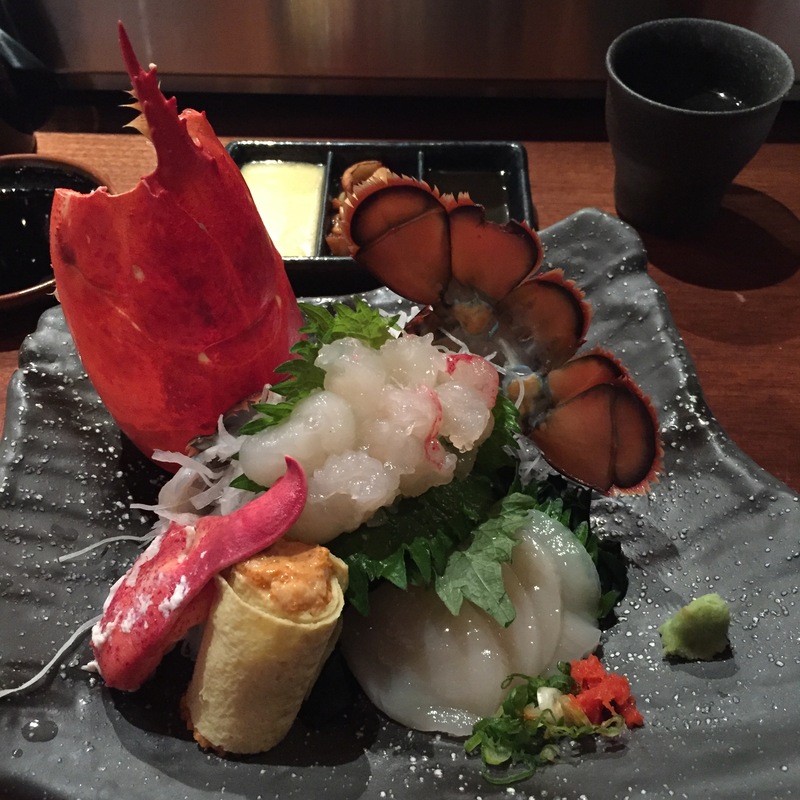 ISE EBI (lobster) three ways – “Three ways” refers to the tail into Sashimi, and the rest poached, the claws are served as is, while the body is made into a sushi roll with an egg wrapping (as opposed to seaweed), all served with Miso Butter, which is just an awesome compliment. 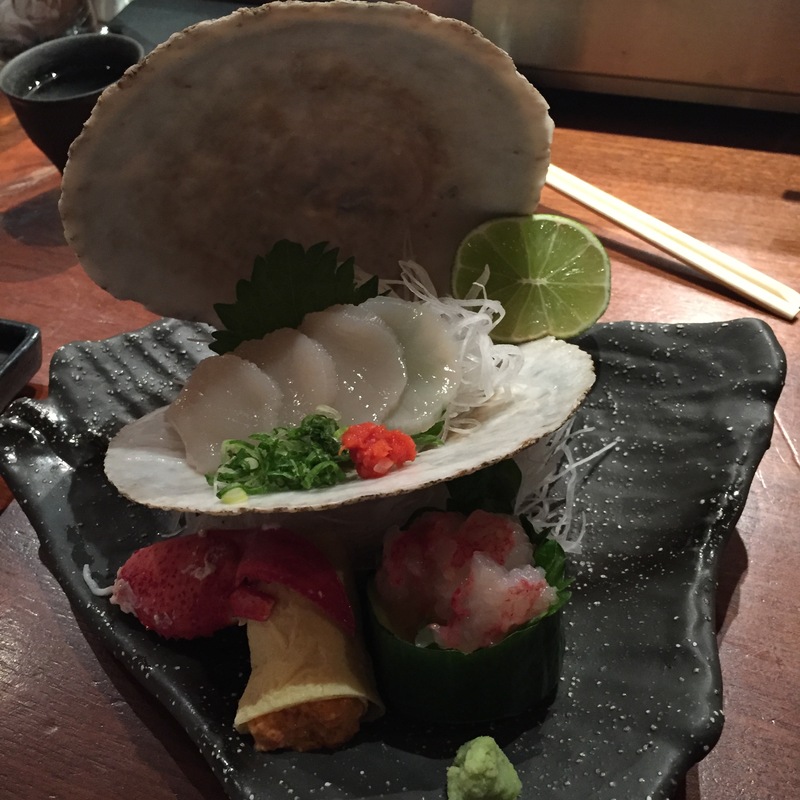 Live HOTATE (scallop) – Chef takes a whole live HOTATE, slices up the core meat as sashimi, takes the “tail”, the crunchy part, for a flash grilling, then serve it all with a scallop liver sauce. It is really incredible. 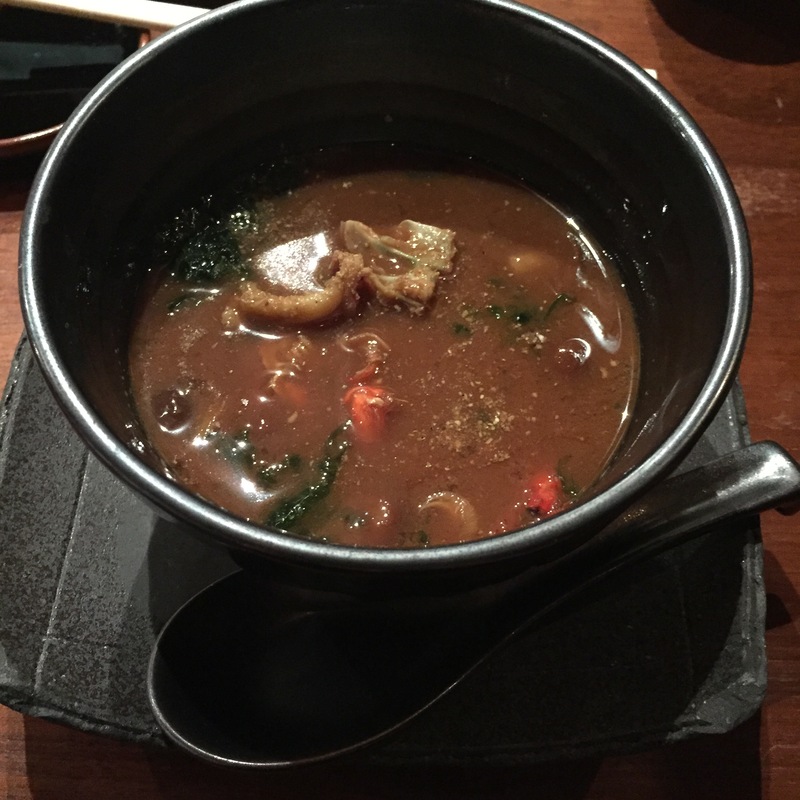 MISO Soup with Lobster – YUM! 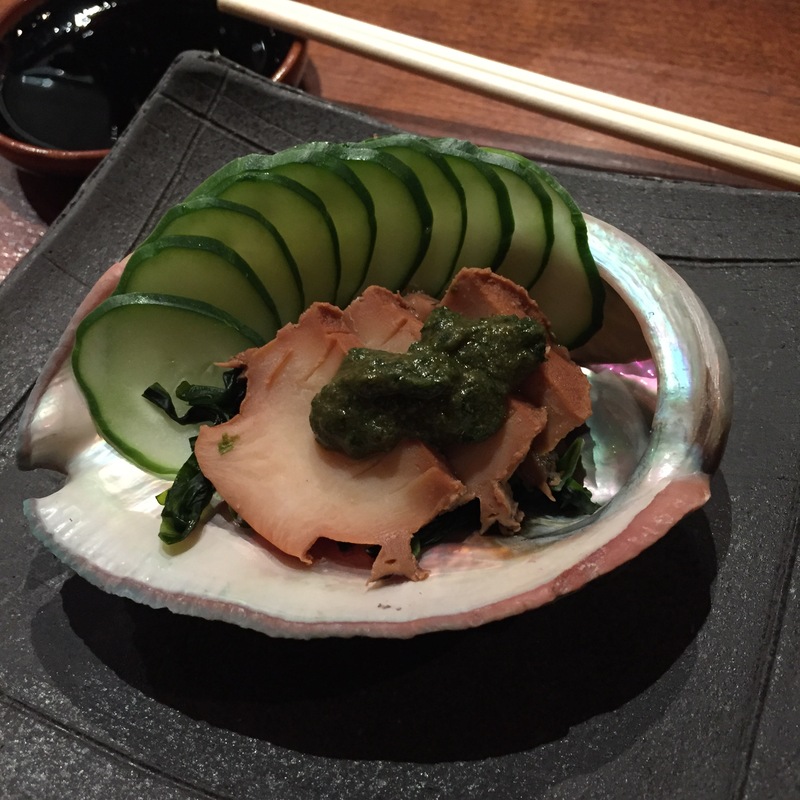 KUMAMOTO Oyster – Served with a ponzu sauce, Chef’s oysters are always plump, sweet, creamy, and overall delish! Simmered TORO – This was both very flavorful, and very tender, but I’m just not a huge fan of cooked goods in my omakase. 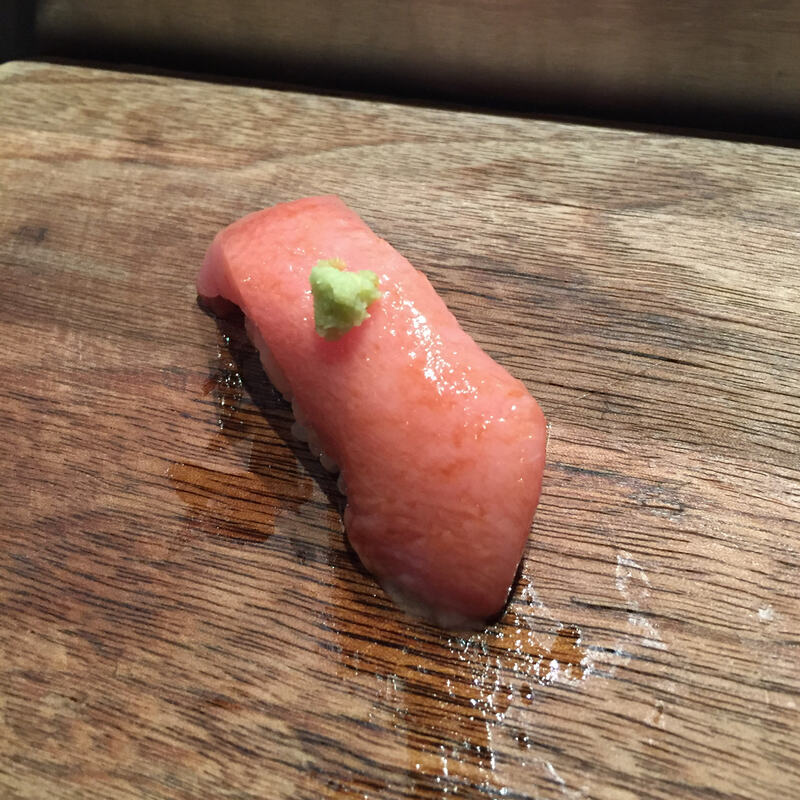 CHUTORO (Medium Fatty Tuna) – Incredibly pure tasting medium fatty Tuna, with no chew (veins), and no funky aftertaste at all. 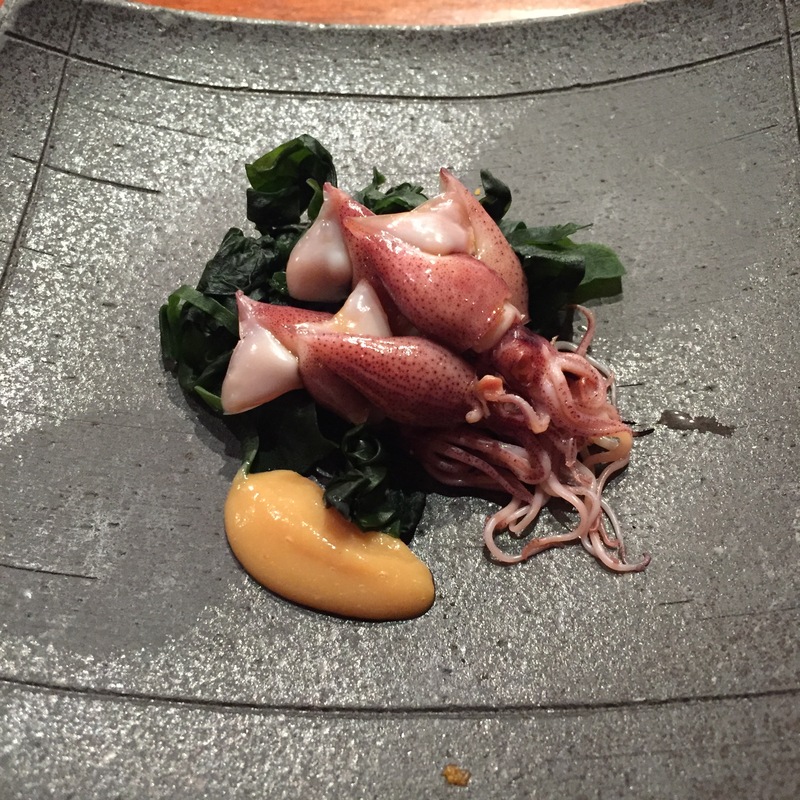 ANKIMO (Monkfish liver) – Chef wrapped the ANKIMO with a small bit of SHISO and thinly sliced HIRAME (flounder), and provided a sweet miso dipping sauce to accompany it. This was VERY, VERY good. Still like the ANKIMO/SHISO/HIRAME in a ponzu sauce version he served us in November better though. 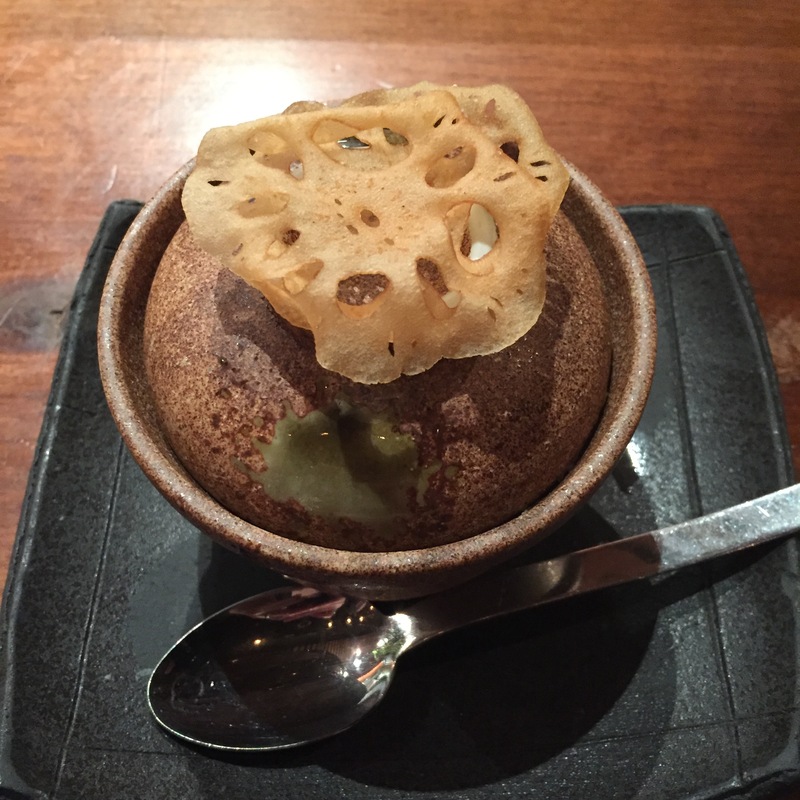 The tart ponzu sauce complimented the ANKIMO like none other. Wild Ocean Trout – Not a huge fan of the orange fishes. Chef’s trout is very good though, he starts with a marinated trout, then ABURIs (torches) the skin, and tops it with a tiny dollop of mayo. Really great considering it’s a trout. 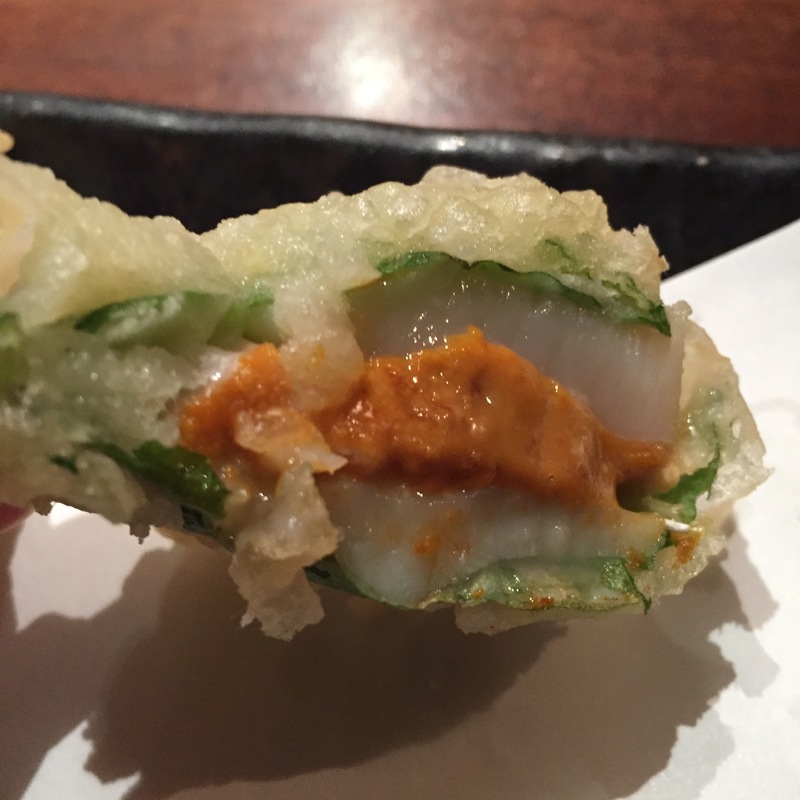 SHISO wrapped fresh HOTATE (scallop) sandwiching California UNI – My absolutely most favorite tempura in the world. OMG – so delicious! This combination is always fantastic, but when you throw it all into the deep fryer, and yield the lightest batter, it is just icing on the cake! 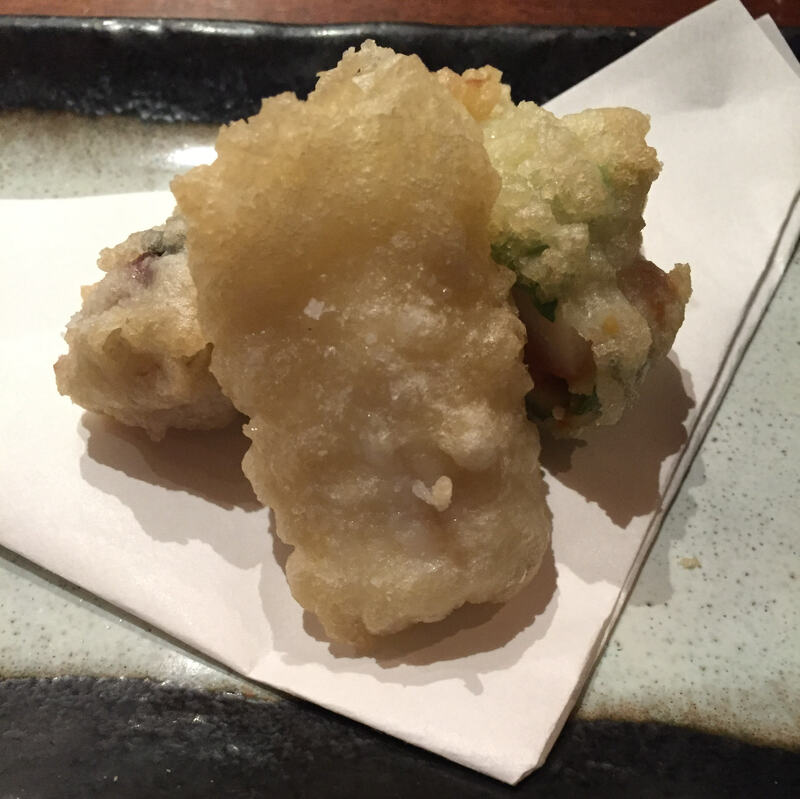 Fresh Oyster Tempura – Perhaps because it doesn’t have the SHISO as a barrier, the oyster got a bit cooked. I’m a lover of raw oysters, not cooked in any way. 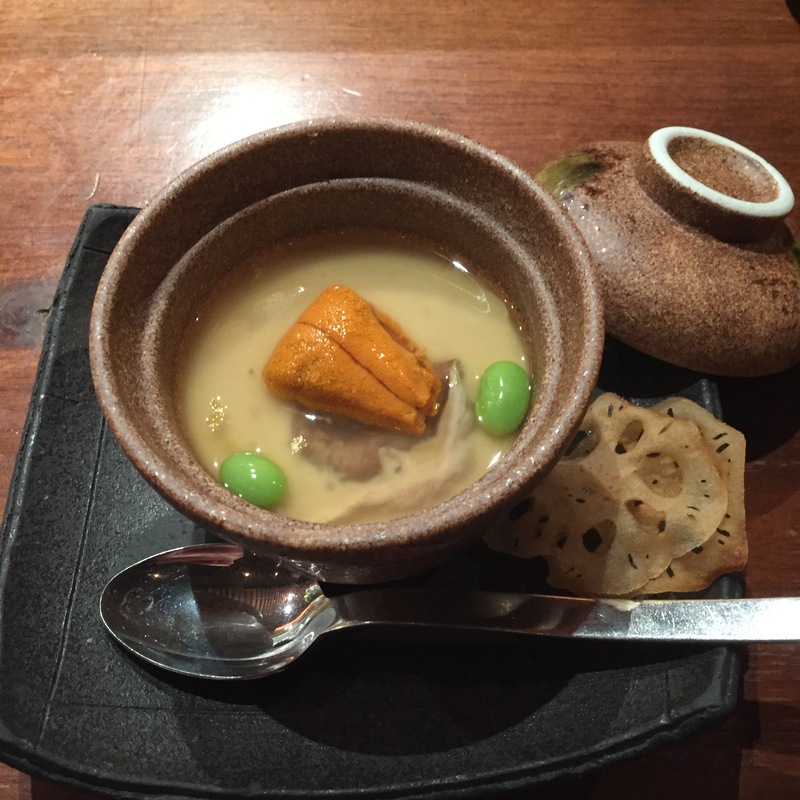 Chawan Mushi with KANI and UNI – I am very happy to be served the KANI Chawan Mushi again. The last couple of times we went, SHIRAKO Mushroom was in season, and Chef is a huge fan, so that’s what we got in our Chawan Mushi. 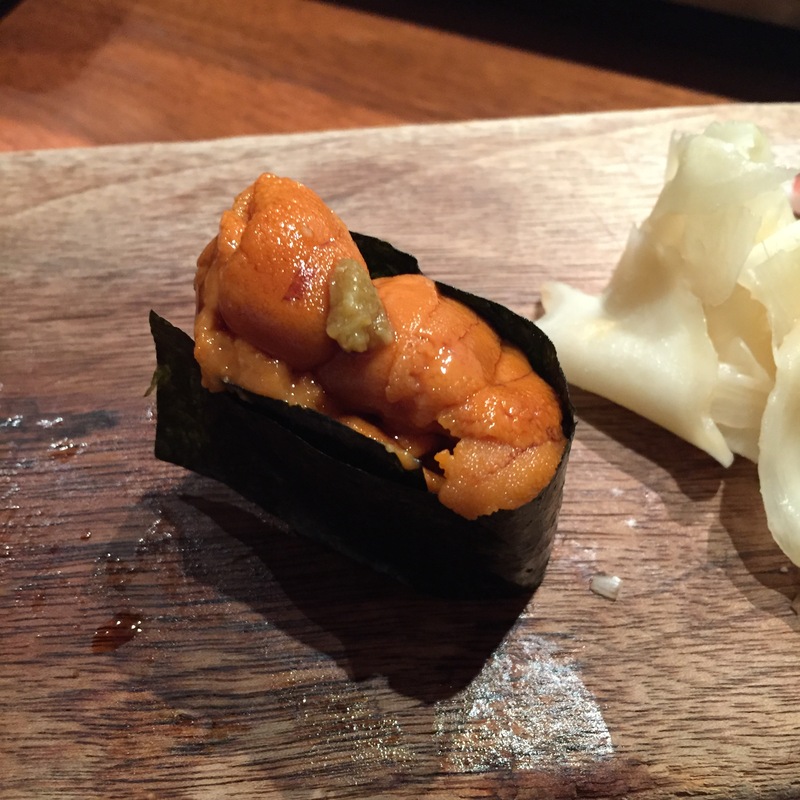 The KANI was cooked to perfection, not at all overdone where it becomes chewy, and the UNI topping was sushi quality UNI. Delightful! 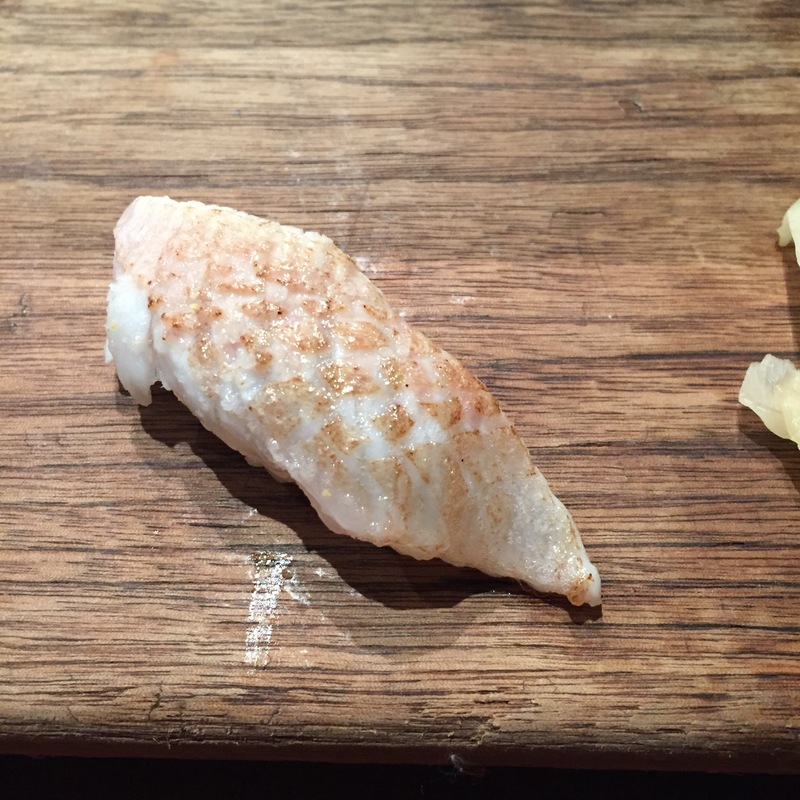 ENGAWA (Fluke fin) – ABURIed (torched) to perfection, drizzled with citrus, and topped with sea salt. Magnificient! 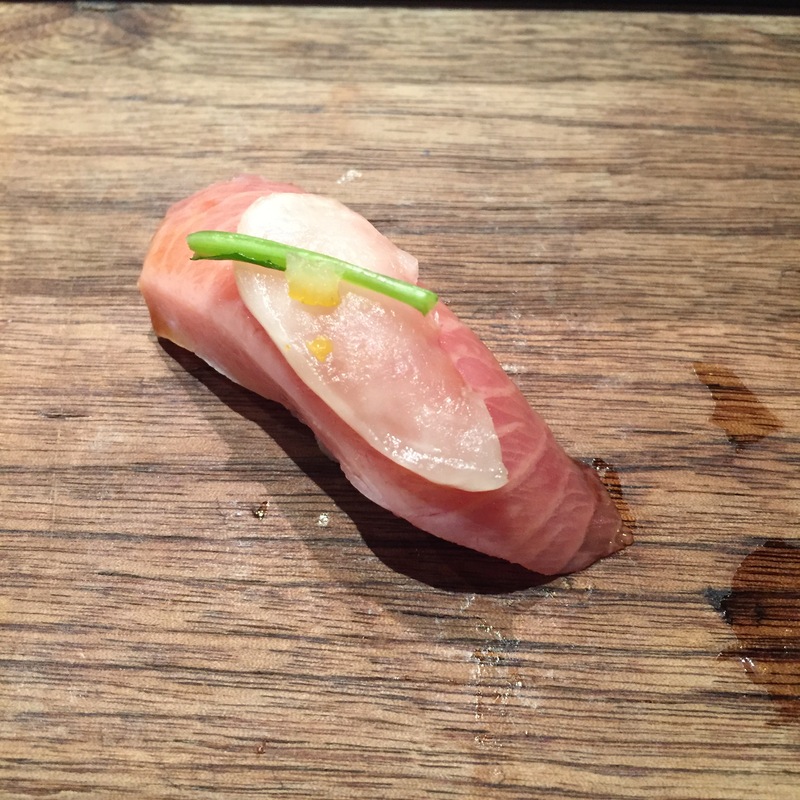 HAMACHI SUNAZAKURI (Yellowtail Belly) – Topped with a thinly sliced pickled HARUKEI turnip, this was very good! 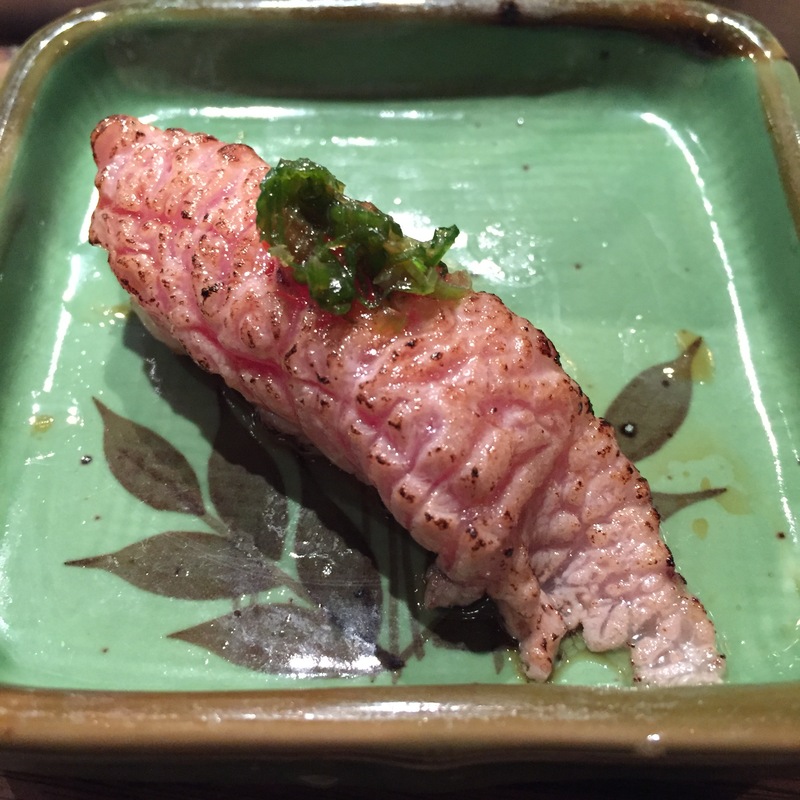 HAGASHI TORO – My FAVORITE of the TOROs! A super labor intensive cut of fatty Tuna, found at the top of the Tuna tail, sliced very carefully between tendons and sinews. It’s my favorite because it never has any chew, or that funky tinge the CHUTOROs and OTOROs sometimes have. Just delicious. 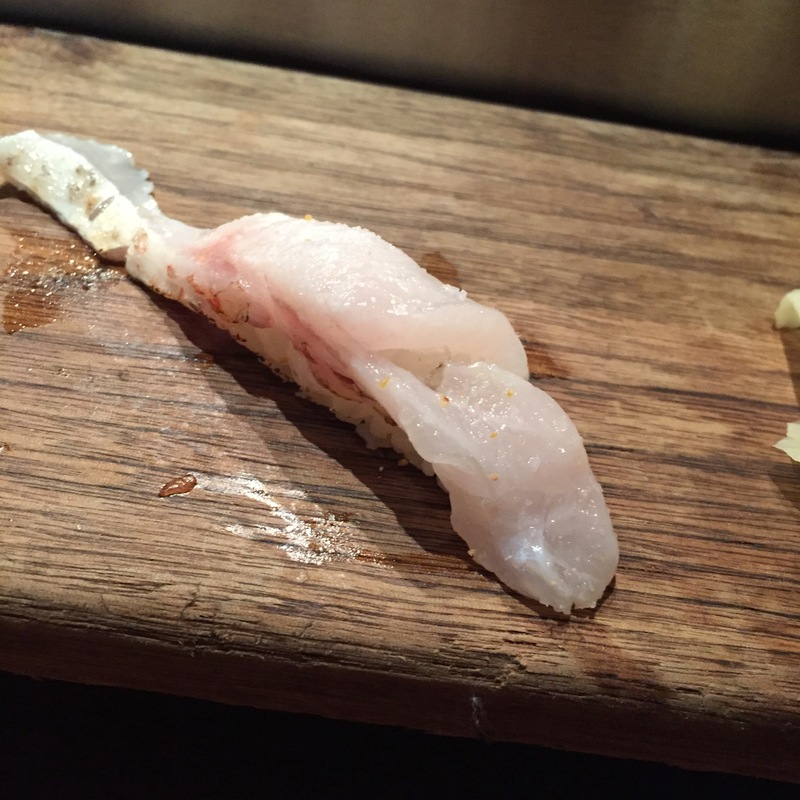 NODOGURO (Black throat) – Served with just a tiny touch of a yuzu salt, DELISH! 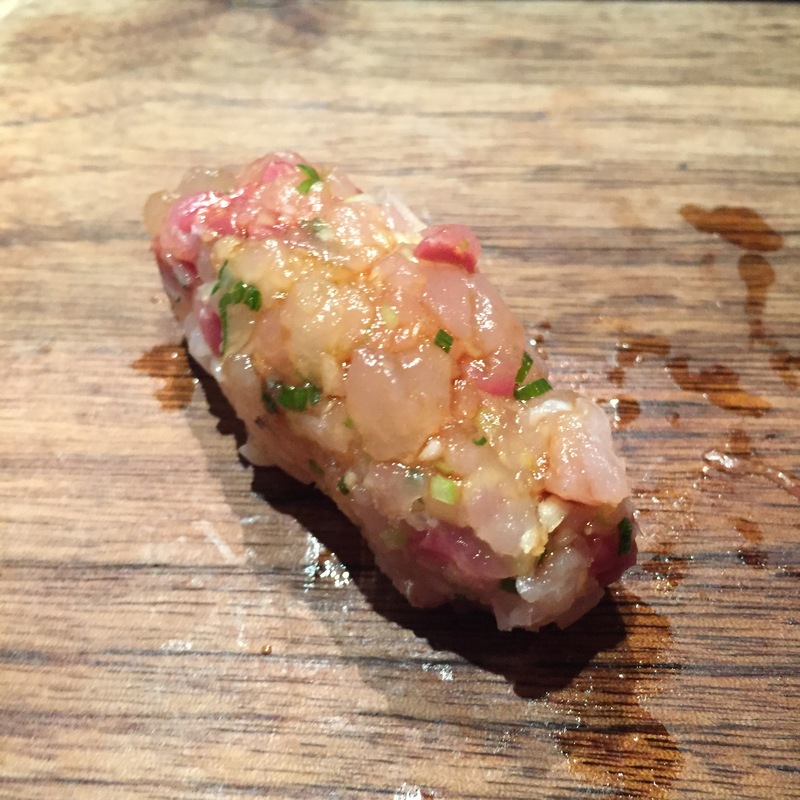 Thought fairly available at other sushi-yas, other chefs rarely correctly proportion the skin to the meat, and top it just right with the citrus and salts. This was my favorite piece of the night. 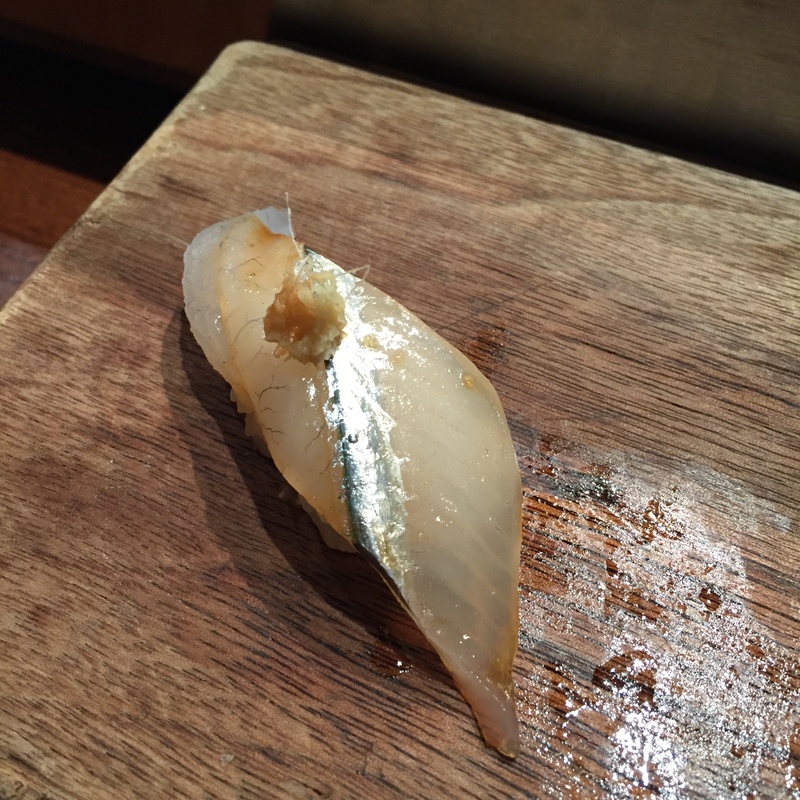 SAYORI (Needlefish) – Served with a tiny bit of shaved ginger, really fantastic. Chopped AJI with scallions – Very, very good. Way to dress up your AJI! OTORO (super fatty Tuna) – Served ABURIed (torched) with a mixture of Scallions and MOMIJI OROSHI (Grated Daikon Radish marinated with red chili peppers). Who doesn’t love OTORO??? Hokkaido UNI – Chef always have great Hokkaido UNI. Santa Barbara UNI – Very happy that Santa Barbara is still in season, but very disappointed that we didn’t get our huge LIVE Santa Barbara like we did in the past. 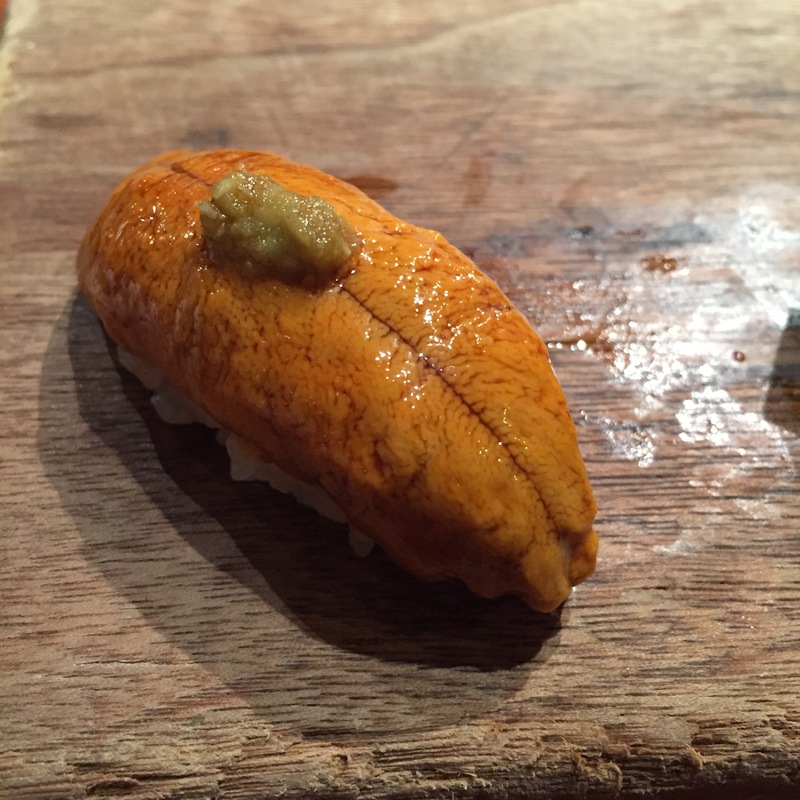 Chef says that there’s huge demand for LIVE Santa Barbara UNI in the west, so what comes out to the east coast is not as high in quality. BOOOO! 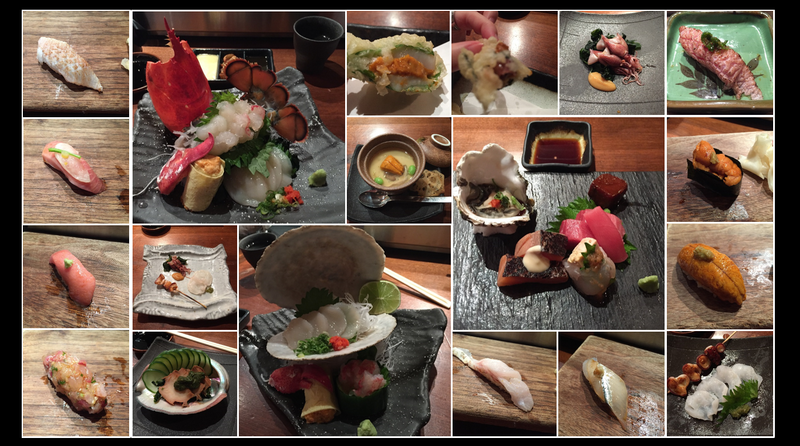 HOTARU IKA – Yup – we needed a repeat, it was that good! NAMADAKO – And this as well! I am so sad that Chef is leaving Blue Ribbon Izakaya, even more sad that he’s going to Blue Ribbon Sushi on Sullivan. Chef did say to give a few months, and perhaps he can change things up at the Sullivan location. Hurry chef! We’re waiting for you to get settled!!! 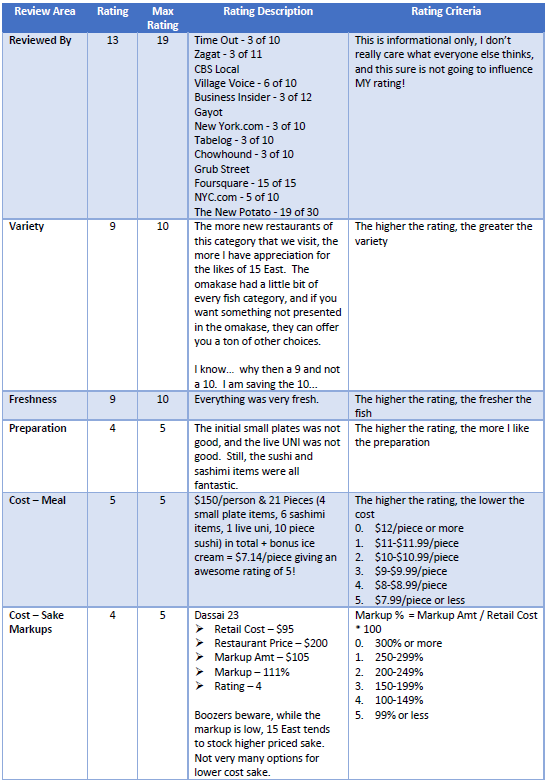 Chef remains at the super top rating of 34 out of 35.